To celebrate the Oisans area and the fantastic cycling in the region we have produced three Cycling Tube Maps printed on quality paper representing the cycling possibilities in the area. First off is all the climbs reachable from our base in Bourg d’Oisans and is available as an A4 print or a larger 70cm x 50cm print. This iconic loop ridden by 7000 cyclist each year as part of the premier cycle sportive in July and also ridden by many others on an individual level throughout the summer months has been reproduced with additional height gain and other information. Available in A4. Inspired by a visit to London in 2016 we thought it would be great to come up with a tube map design of the local climbs with Bourg d’Oisans as the hub. What started off as a badly scribbled design by Phil has turned into this beautiful tube map designed by a graphic artist client who hired bikes to cycle Alpe d’Huez from us in 2017. The design is exclusive to us and we have had 200 copies commissioned on high quality printed paper with a “foiled” PROMPT CYCLE CULTURE logo in the bottom right hand corner. Cut to a size of 70cm x 50cm they fit perfectly into a Ribba Ikea frame. Delivery is expected in the first week of June and all pre orders will be posted out in a strong poster tube as soon as we have them. All orders received before 1st June 2018 will also receive a small collection of exclusive postcards. From may 2018 we will have a tandem available to hire to climb Alpe d’Huez and other surrounding mountains. The Cinelli tandem is a medium / small size and is based on a mountain bike set up with hydraulic disc brakes and easy mountain gears. 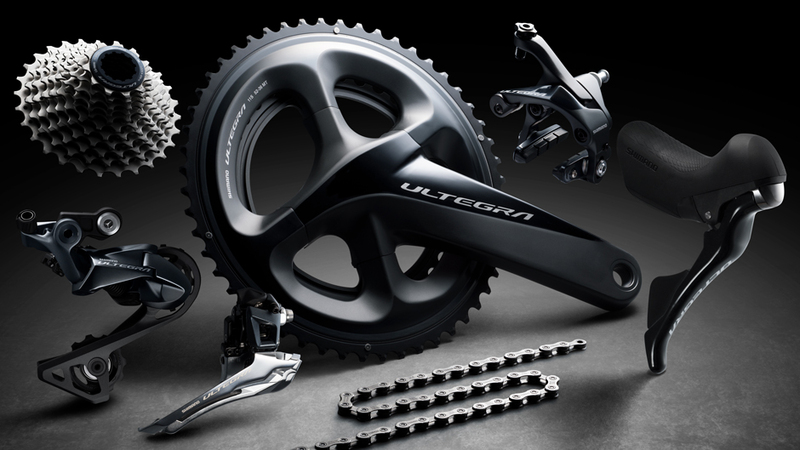 We have just taken delivery of our first Shimano Ultegra R8000 groupset. Pop into our store in Bourg d’Oisans to check it out. All our new Alpe d’Huez hire bikes that will be built up over the coming months will feature the new groupset.